Apple AirPods are finally available to order from company's website for $159. Apple announced AirPods during the unveiling of iPhone 7 and iPhone 7 Plus, where it claimed that it takes courage to kill the 3.5 mm audio jack. Apple AirPods were initially meant to debut in late October but the Cupertino-based company delayed it without giving any reason. Apple says AirPods will become available at its retail stores, Apple authorised resellers and select carriers beginning sometime next week. The online store availability has already slipped beyond four weeks and the company encourages consumers to check its online store for futher updates. Apple AirPods are company's answer ot growing breed of truly wireless earbuds from startups and mainstream companies like Samsung. With headphone jack being kicked out, Apple AirPods are being conceived as the ideal replacement for bundled earpods. Apple AirPods feature a design very similar to existing breed of wired earpods. The only missing piece here is the wires and Apple has also added a new W1 wireless chip. With W1, Apple AirPods pair with any iOS device instantaneously. Apple AirPods come with their own wireless charging case and pair with Apple's device ecosystem as soon as the case is flipped open. Apple AirPods also add neat software tricks like they pause music when they are pulled out of the ear. The AirPods can also be used to trigger Siri by double tapping the buds. 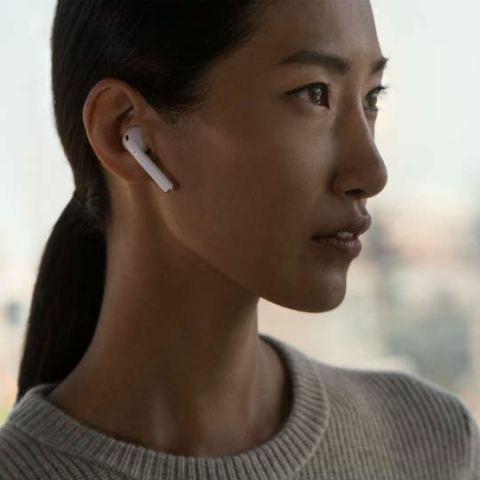 Apple AirPods are innovative in terms of feature and might even deliver decent audio experience but it is unclear whether it will stay on ears for a longer duration of time. Apple is making AirPods available in over 100 countries at the time of launch and it even includes India. Apple AirPods are priced at Rs 15,400 in India and will offer five hours of audio playback. Apple AirPods are only compatible with Apple devices running iOS 10, watchOS 3 or macOS Sierra.